Broadway’s Best Party is turning up the volume to ten! 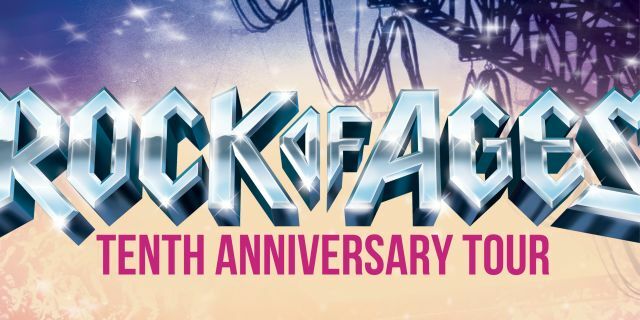 The ROCK OF AGESTenth Anniversary Tour is blazing across North America! Nominated for five Tony Awards®, including Best Musical, ROCK OF AGEScaptures the iconic era that was the big bad 1980s Hollywood. Know What Love Is, Feel the Noise, and Take Your Best Shot at one of the Sunset Strip’s last epic venues, a place where the legendary Stacee Jaxx returns to the stage and rock-n-roll dreamers line up to turn their fantasies into reality. Not recommended for young audiences.